Wingrider Nivek: Pterrordax can’t be bred in captivity. So, we be forced to collect eggs from da wild roosts. As you can imagine, da feral colonies be not making dis easy. Only da bravest wingriders be willing to attempt it, and few succeed. We be getting low on eggs again and no volunteers be stepping up. Take just da ones dat be ready to hatch, mind you. Collect 8 Hatching Pterrordax Eggs. TIP: Head north toward the Kwarthari Wildlands, by the Pterrordax nests with Shadraspawn Lurker spiders. Click on the Nearly-hatching eggs. 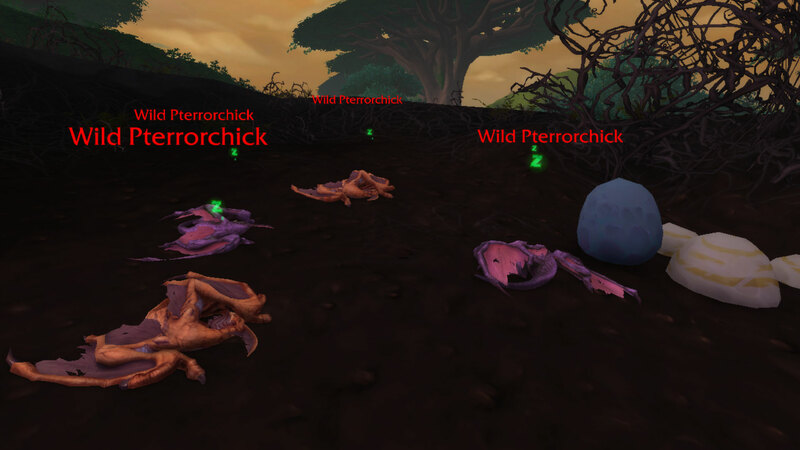 The nearby Wild Pterrorchick x 2-4 will attack you. Don’t move too much to prevent aggroing more than you can chew. Wingrider Nivek: Were you able to gather any Hatchling Pterrordax Eggs, (Name)? 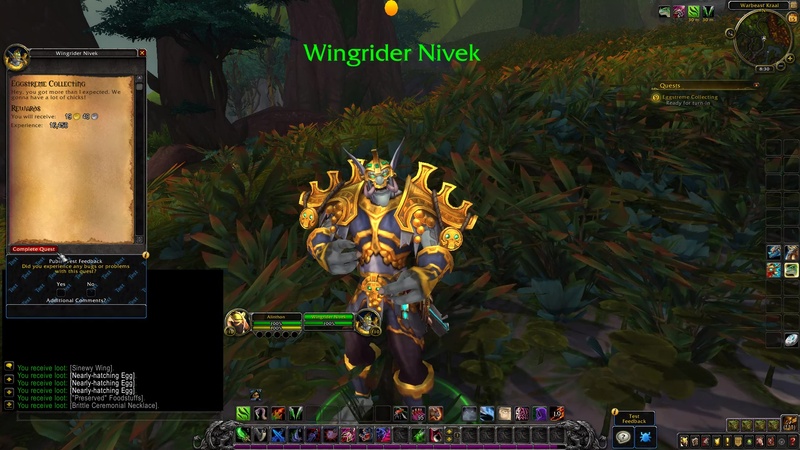 Wingrider Nivek: Hey, you got more than I expected. We gonna have a lot of chicks! 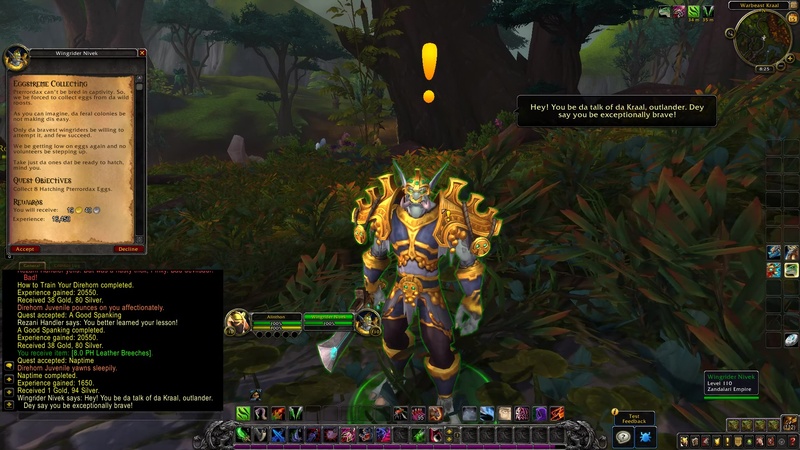 **In Alpha/Beta this quest was formerly known as Eggstreme Collection.